Happy New Year! I pray 2016 has started off well. It’s crazy to think the first month is over… where does the time go?! I’m excited to share with you about Amsterdam50’s mission trip to Kenya. I was blessed to have Imelda (Dutch woman) and Rony (Kenyan now living back in Kenya since Sept. 2015) as a part of the team. The December trip was our church’s 7th mission trip, continuing to build the relationship with these precious 31 orphan kids and staff. Amstrdam50 and the CRCA (Community Recovery Center Africa) have had a relationship since December 2009 through Kenya Matters (www.kenyamatters.org). This Kenyan run and operated “safe house” is for orphan kids who come from the area around Naivasha in the Karai region/Rift Valley. 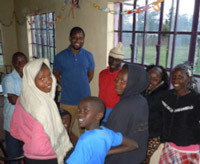 Dorcas Wachira, the Director of the CRCA, continues to be a bright light in the kids lives, as she and her team provide guidance and direction through spiritual development, sound nutrition, good education, a safe place to live and developing hope for their futures. After her husband, Elijah, died (April 2013), the Lord led Dorcas to start a widow’s group for her own grieving process, but also to help dozens and dozens of others. Today that ministry has expanded into 3 groups providing encouragement to more than 100 women. 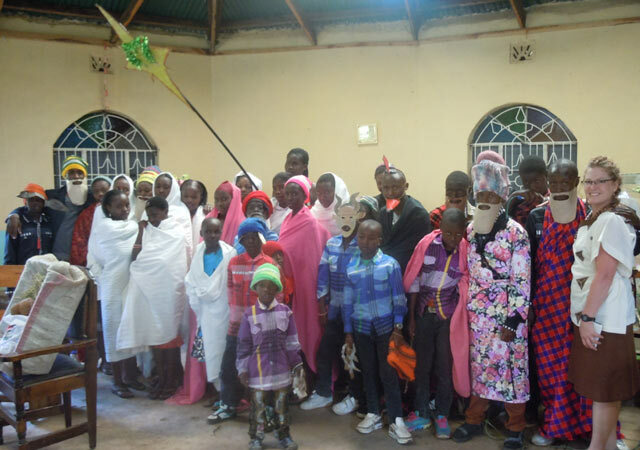 In addition to assisting the orphans with their education, through fundraisers and a focus on the English language, Amsterdam50 also uses these trips to deepen our friendships, have fun, celebrate the birth of Jesus, put on the Nativity Play, help them develop spiritually and also to encourage the staff. 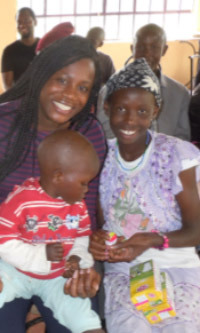 Imelda experienced her first mission trip and was struck by a number of things, including: how the CRCA is there to serve the Lord, the powerful connection between our church and our Kenyan friends, seeing how God has provided for the CRCA through Kenya Matters and how disciplined, obedient and respectful the kids were. While decorating for Christmas and when playing with the kids I discovered they have a lot of talent to solve problems very fast. I believe through the support of Amsterdam 50 and the other Good Samaritans who are helping these children many lives are being transformed. Despite the background of the kids I experienced so much love that gave me hope in starting life back home. The kid’s prayers were a blessing from their innocent hearts that ‘all shall be well’. That encouraged me. 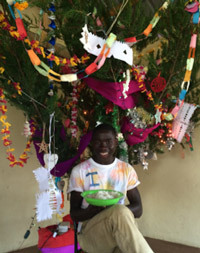 Since Rony is living in Nairobi, Kenya, he will be able to visit with the orphans and staff on a regular basis. I am thankful that God has given Amsterdam50 a direct contact on the ground in Kenya. In addition to all the kid’s activities we organized, I was also given a unique opportunity to speak at the guardians Christmas party where about 200 were in attendance. In addition, I was asked to provide the message/sermon at their local church the Sunday after Christmas, with a focus on encouraging the youth before they began the new school year. Eight of the girls (between 14-17 yrs. old) joined a study with me called “Giftwrapped By God”. The study provides a scriptural message about God’s plan for their future: to stay focused on their education and their goals/dreams; and to stand firm in what the bible says about His plan for when they are to engage in sexual activity. In addition, it helps them to learn how to emotionally heal if they’ve been abused in the past. We visited three of the homes of the guardians, including the home of Mama Lucy, mother of Lucy and Monica. (below) What a perspective to see what sort of life these kids had before the CRCA. 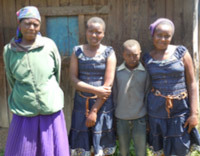 Her rent is $2 a month and she and her son share a single bed, however, she told us that she was filled with joy that her daughters were being educated and provided for by Dorcas and the staff. Mama Lucy also attends the widow’s group ministry. God’s presence over the safe house & each child grounded in God’s truth!